I wanted to share information about the Security Cares initiative coming to Dallas September 27-28 as part of the ASIS International 63rd Annual Seminar and Exhibits (ASIS 2017). Security Cares is a community safety and security initiative designed to educate managers of small businesses and community institutions (churches, nonprofits, schools, clinics, museums, etc. )—places that traditionally have not considered themselves targets—about the fundamentals of security prevention and preparedness. By delivering free education programs and access to security thought leaders and solutions providers, Security Cares helps build safer, more resilient environments. I encourage you to learn more about the program and to take advantage of these free resources. 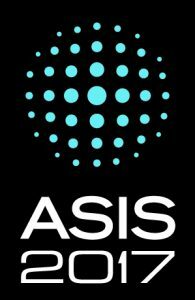 If you have any questions about the program, please contact Amy Fisher, Vice President of Marketing and Communications, ASIS International at amy.fisher@asisonline.org or 703.518.1465. Thanks so much for your support!